Once your Long Term Disability clam is denied, you have a period of 180 days to file an administrative appeal. If your disability plan is governed by the Employment Retirement Income Security Act of 1974 ("ERISA"), the denial letter that you have received, --in all likely hood--, states that you must file an appeal within this time period. It is imperative that you complete this appeal, otherwise you will loose your right to contest the denial. The legal principle that requires you to file an administrative appeal before being able to go to court is known as the "Exhaustion of Remedies" doctrine. In essence, this doctrine precludes a party from contesting a matter in court until the issue in dispute has been presented before at a lower administrative forum. Very recently, the 5th Circuit Court of Appeals had the opportunity to consider an ERISA LTD case dealing with this doctrine. In Moss v. Unum, (Click here for a copy of the unpublished decision. ), the Court of Appeals considered whether a phone call from a claimant's lawyer to a disability insurance company (Unum) was sufficient to constitute an exhaustion of administrative remedies. 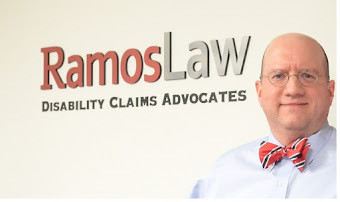 According to the decision, the claimant's attorney called Unum and verbally informed them that he disagreed with their decision to deny his client benefits. However, he did not file a formal written appeal. Instead, shortly thereafter, he filed a lawsuit. The 5th Circuit ruled that the telephone call to Unum did not constitute an administrative appeal. Furthermore, the Court explained: "[A]llowing informal attempts to substitute for the formal claims procedure would frustrate the primary purpose of the exhaustion requirement." Moss v. Unum, shows the importance of writing a formal appeal letter in an ERISA LTD case. Although, it is possible that other Circuit Courts may allow for more informal appeal methods such as a phone call, it is never a good idea for a claimant to take any risks when filing an administrative appeal. The plaintiff in Moss also argued that an administrative appeal in his case was not required because the denial letter stated: "Unless there are special circumstances, the administrative appeal process must be completed before you begin legal action..." Moss argued that since there had been bad faith by Unum in denying the claim, the "bad faith" constituted "special circumstances". The Court rejected this argument also. It stated that under such an argument virtually anyone could make a claim of bad faith and circumvent the requirement of filing an administrative appeal.